A 1994 graduate of the Hankamer School of Business at Baylor University, Clay double majored and received BBA degrees in Information Systems and Quantitative Business Analysis. 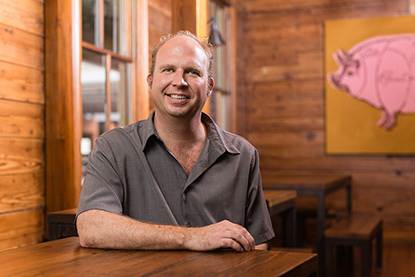 Prior to forming Wiese Hefty Design Build with his wife and partner Kristin Hefty in 2008, Clay was employed by Accenture as a management consultant building custom applications for ConocoPhillips Company, PeopleSoft, and the Virginia Department of Transportation. Clay also held a management consultant position with Empower Solutions, where he worked with clients such as the MoMA (New York) and the government of Puerto Rico. Most recently, Clay worked as a Sarbanes-Oxley project manager for Resources Global Professionals, performing audit services for publicly traded companies such as Harland Clarke, Susser Holdings Corporation / Stripes Convenience Stores, AT&T, and KCI. With more than 15 years of large project implementation, accounting, and audit experience, Clay heads the construction division of Dado Group. 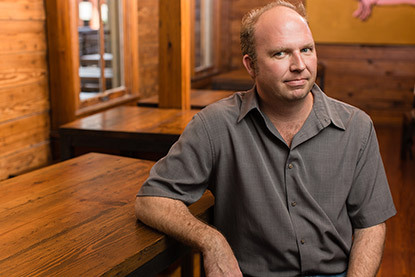 As construction project manager for design/build projects in commercial, retail and residential applications, Clay has managed projects for the USAA Real Estate Company, the Westin-La Cantera, Toyota Motor Manufacturing, the Monterey Restaurant and Silver Ventures’ Granary Cue N’ Brew at Pearl. Clay’s primary responsibilities are estimating, maintaining construction costs, communicating project schedule and status updates to clients, processing sub-contractors and permitting. He also ensures projects follow standardized processes and controls and handles construction audits and risk management.